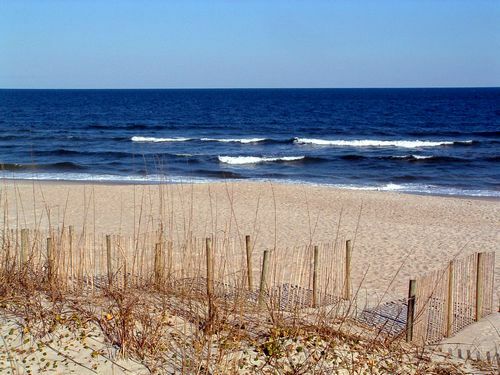 NC has 301 miles of coastline. ↕ SR 12 - Corolla to Atlantic - 121 miles - "Very, very pretty on a nice day..."
↔ SR 55 - Dunn to New Bern - 103 miles - "Quite a few wide sweeping turns through the route." ↕ SR 615 - Virginia Beach, Virginia to Knotts Island - 26 miles - "...a very good relaxing trip." ↔ US 64 - Rocky Mount to Whalebone - 146 miles - "This is a stretch of desolate road that runs thru the marsh lands..."
↔ US 264 - Washington to Manns Harbor - 116 miles - "This sweeping route has...tight radius turns scattered throughout..."
↕ Merrimon Road - Merrimon to North River - 13 miles - SR 1300 - "Short and Sweet!" ↕ Old Maple Hill Road - Maple Hill to Plear - 8 miles - SR 1520 - "Fun, twisty, scenic..."
↕ Sandbank Road - Reynoldson to Junction US 13 - 12 miles - "Very smooth asphalt, wide shoulders..."